“Mixed-weight” couples should not even be referred to as that. They are just a couple like any other couple. However, many guests have put plus-size brides on the spot for marrying someone smaller than them. Some speculate that the man may have a “fat fetish,” or that they are pitying their partner and thus choosing to marry them. No better way to have unsatisfactory wedding ceremonies than by having to host judgmental people passing hurtful comments about the couple, rather than just being happy for them. 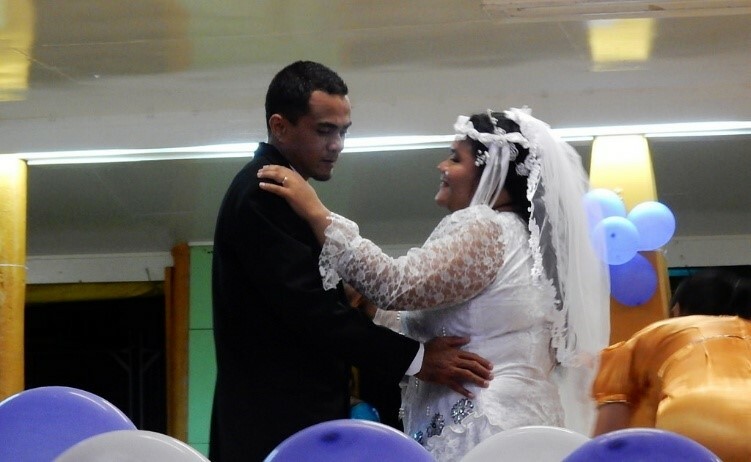 Here is why you should never ever point out or judge ‘mixed-weight’ couples getting married. Are wedding ceremonies the same for mixed-weight couples? The obvious answer to this question is: yes, of course. They are two individuals making a wedding officiant help them solemnize their love for one another. However, in some ways, a mixed-weight couple’s wedding ceremony may be different, mainly because they will be seen through an extremely judgmental lens by onlookers. All that is important to keep in mind when attending a “mixed-weight” wedding is that they are a couple of human beings, just like us and everyone we know, and they deserve to be happy. You cannot judge how healthy a person’s habits are just by looking at them, so especially, do not judge a book by its cover. You can easily find an open-minded wedding officiant in Oklahoma City, who will not make derogatory remarks around weight or any other attribute, as well as make sure that the ceremony is free from all these external pressures. Are People More Concerned When The Bride Is Plus-Size But Not When The Groom Is? “Mixed-weight” couples are often only called so when the woman in the heterosexual relationship is plus size but the man is not. It should be noticed that most guests at a wedding would not be as concerned if the man is weighing more than the women. This may be because of how society has indoctrinated most people to see the man as the strong and bigger individual in a heterosexual relationship, whereas the woman should be petite. The best way to save yourself from the judgement of such guests is by arranging a small wedding ceremony event, with a nonjudgmental wedding officiant from Oklahoma and loved ones who support your relationship. You can also ask the hired wedding officiant from OKC for advice on how to combat all these fears of judgment, and let your true self become free on the special occasion, so you can enjoy your celebration of love for one another. What to Do For Your Wedding To Make It One Of A Kind? Although planning your wedding can be really stressful, there are some enjoyable aspects as well….